For those of you who use ladders on a regular basis, warehouse, stockroom, office and retail workers it’s important to make sure that the ladder you are using is up to the task. We are going to take a look at the things you need to check and look out for before you use your ladder. When should you inspect your ladder? You get a new ladder, and as soon as it has been delivered. If there is anything wrong at this point you can take it back. You are about to use it. For your safety and extra peace of mind give your ladder the once over before you use it, a lot of accidents could have been prevented if the ladder had been checked beforehand. The ladder has been dropped, they may seem sturdy but dents or loose fixings are a potential hazard waiting to happen. Though it may seem a burden taking the time to check your ladder could save you serious injury or worse. What should you look for on your ladder? Now you know when you should be inspecting your ladder, but what should you be looking out for? Loose or missing steps or rungs, specifically if you can move these by hand then they are classed as loose. These can be very dangerous as your foot could either slip or give way completely. Any loose screws, nails, bolts or nuts. If any of these are loose it could cause the ladder to become structurally unsafe and give way under the weight of someone standing on it. Cracks or exposed fibreglass in fibreglass ladders. 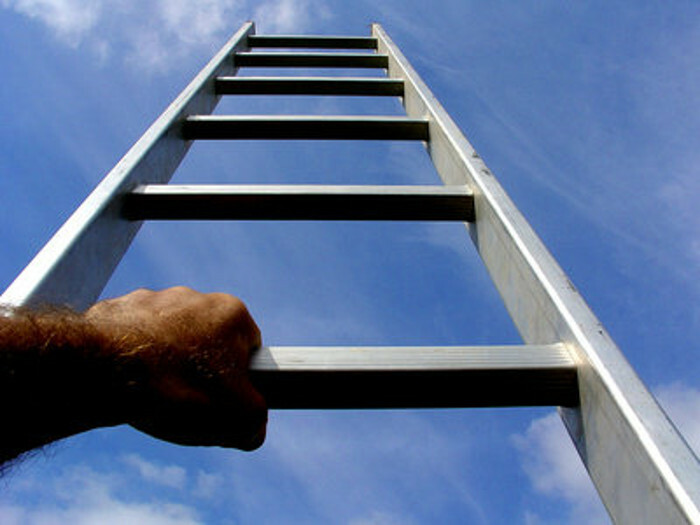 Any damage to the ladder could cause stress in weakened areas and lead to the ladder giving way. Sharp edges on rails or rungs can be dangerous as your clothing can catch on these and potentially cause you to fall. Twisted or distorted rails It’s very important that you check your ladder for twisted or distorted rails as using a bowed ladder is extremely dangerous. Anything else to look out for when inspecting ladders? Yes, there are a few other things to look out for when examining your ladder to make sure it's safe to use. Wobbling If the ladder wobbles then it is not safe to use, turning or any kind of movement could cause the ladder to fall over, with you on it. Loose or bent hinges or hinge spreaders. These help to keep the ladder in place and create a sturdy structure to hold your weight. If these don't fit into place correctly there is a chance that the hinges could creep up and create a potentially dangerous accident. Once you have inspected your ladder there are a few things that you should do afterwards. ESE Direct supply a wide range of ladders from step ladders, multiway and trade extensions ladders, there is bound to be one to meet your requirements. If you have any questions or want to find out more then why not speak to our friendly and award winning customer service team on 0808 163 3704, or speak to us on Live Chat!